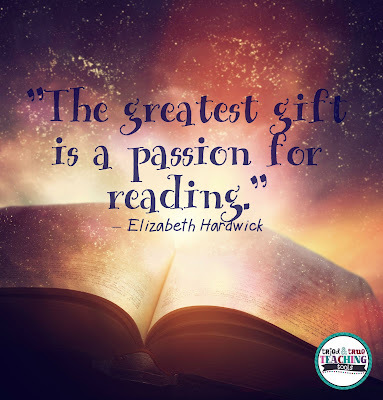 I don't know about you, but it is the greatest feeling to see kids hug new books close to their chest or walk down the hall at school while reading (although I always warn them to watch where they're going; many a reader has rammed into a pole!). 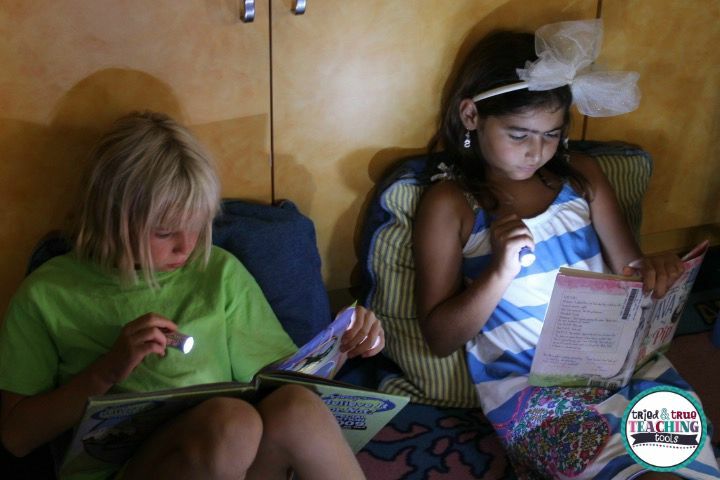 . . this love for reading is what I want to instill in my children. 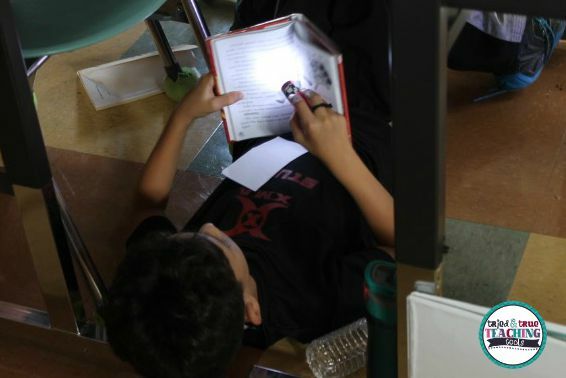 Flashlight Friday is a favorite time during the week for my fourth graders! If they've been making wise choices during the week and have shown teamwork and collaboration, then we have Flashlight Friday! Call it what you'd like: DEAR (Drop Everything and Read), SSR (Sustained Silent Reading or Sit Down, Shut Up and Read. . . lol) or Read to Self. . . Flashlight Friday is a completely silent time to pleasure read in the dark with flashlights from the Dollar Tree! The rule is they need to pick a book that will sustain them for the entire time (usually 20-30 minutes) and once they choose their reading spot, they may not move. Visitors are amazed when they walk into my room; it is SILENT and every child is engaged! What do you do to encourage a love of reading? 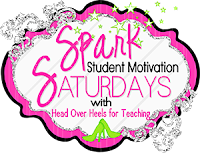 Linking up today with Joanne at Head Over Heels for Teaching's Saturday Spark Student Motivation. (Yes, I know it's Sunday. 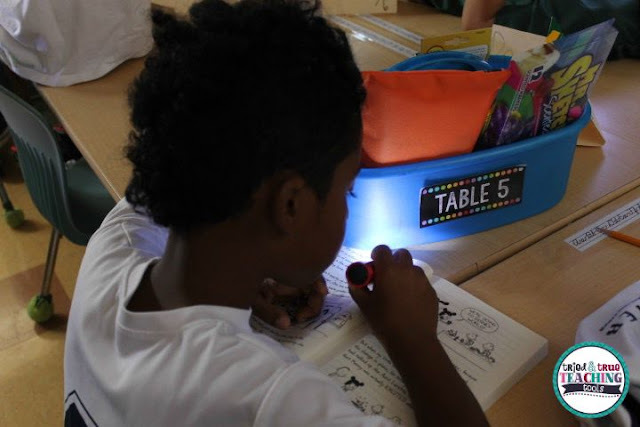 . .) Click on the button below for more wonderful ideas to get your students excited about learning!! 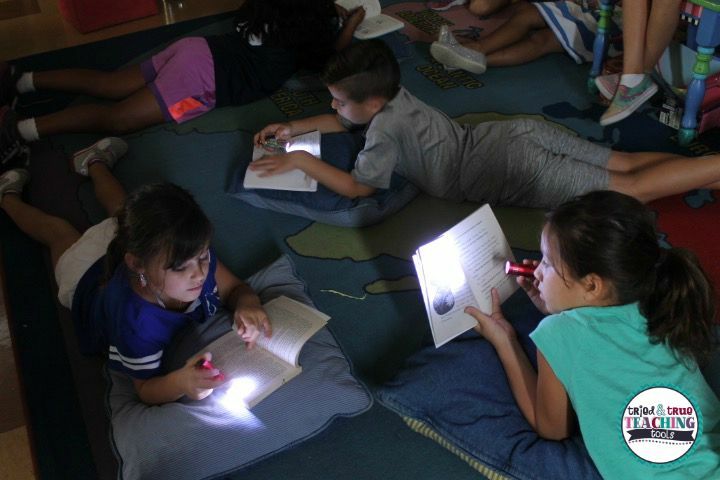 I love the idea of Flashlight Fridays, and these pictures really show that the kids love it too.